'Boring' Singapore City Photo: Are you into Eco Products? 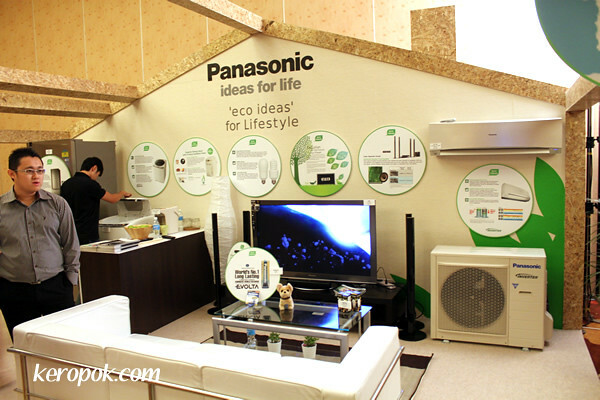 Just before I went for a holiday few weeks ago, I attended a press conference by Panasonic and learned about their 'eco ideas'. They have an environmental sustainability program and they aim to be the number one Green Innovation Company in the electronics industry by 2018. Why I put up this post was that I am impressed that they have an Environment Champions (Schools) Industry Module in Singapore. $20,000 has been handed out to 20 teams of students from primary and secondary schools for them to implement their own 'eco ideas'. Walk the talk, not bad! These are some photos I took at the press conference the other day. 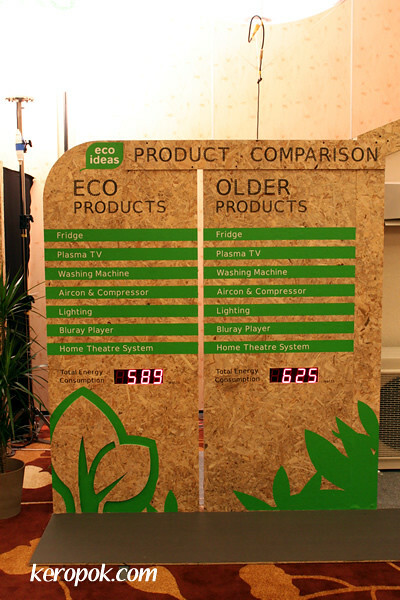 You can see that eco products uses less energy. But eco products also do cost more! So, you don't really save money from the start. It's kind of like an long term investment, you only recoup the cost after 2 or 3 years, or maybe more. Personally, I try to be 'eco-friendly' whenever possible. But I am selective though. I bring my own recycle bag with me all the time in my camera bag and use them. All the lighting at home are energy saving. Our fridge at home is also an invertor fridge, which uses less electricity. So when choosing these electrical products (eg aircon), it's good to choose products that are not only energy saving, but also made from eco materials and also made in factories that are 'eco' friendly. Do you think you can create an eco advertisement and spread an idea on how to make the world a better place? You stand a chance to win eco products too! 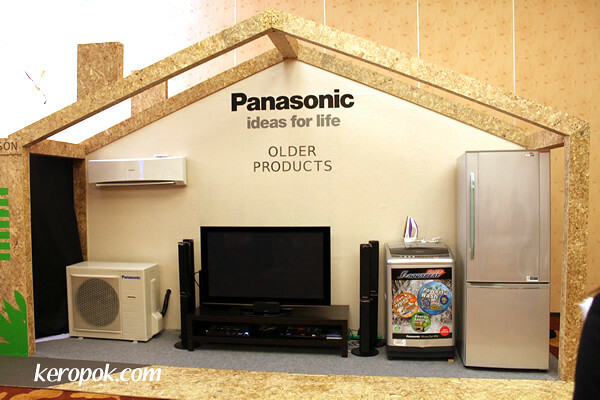 Go to http://www.panasonic.asia/ecoideas/MAC for more information. it is good to see that some of the big companies are taking the environment seriously, but i think it is hard to convince people that it is worth it to pay more at the start - it kind of goes against our culture.